We’re proud of the unique Qlik support packages we provide here at Ometis which provide peace-of-mind for all our clients. 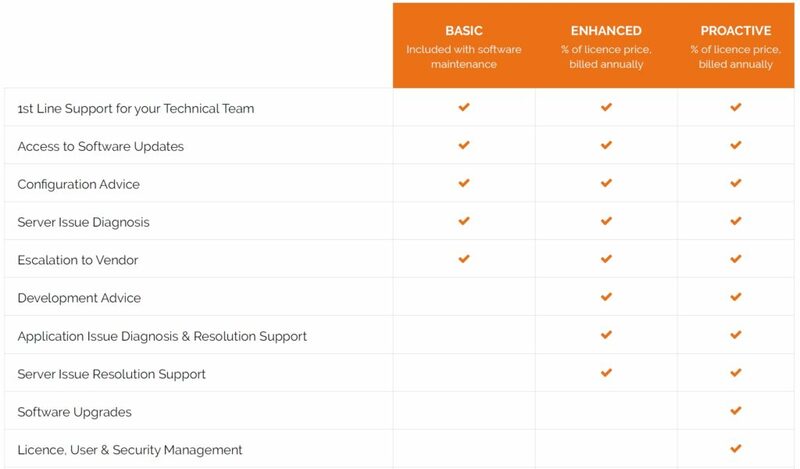 There are three different types of Qlik support packages we provide, each tailored to suit the needs of your business and skillset of your Qlik users. Qlik Business Intelligence solutions are becoming an integral part of modern business and it’s critical they run smoothly and efficiently. If there are problems or your platform stops running at optimum performance, it can have an immediate and detrimental affect on both your business operations and staff. That’s why our team of experts are on hand to keep your Business Intelligence tools running. Qlik isn’t just part of our business, it’s our whole business. As such, every member of our support team is a accredited in the Qlik platform. We’ll advise on best practices, provide implementation services, continued support and maintain open lines of communication at all times should you need it. We do this by building long-term relationships that bring real value to our customers. From the very first point of contact, we aim to be a strategic part of your business. That’s why our approach to customer care and quality is the same whether you are simply exploring your options with ometis and Qlik or you’re a fully-fledged customer making use of Qlik’s visual analytics across your business. Once we have helped build your Qlik applications and dashboards, we can also ensure the continued integrity of your data, the configuration of the applications and the results within them. You can contact an ometis expert by email, phone or live chat to keep your BI system up and running to deliver the strategic insights your business relies on. If you would like to understand more about our unique Qlik support packages, please get in touch with a member of our expert team.